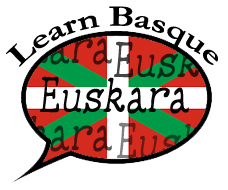 The Ontario Basque Club invites everyone to its "Last Chance" Mus Tournament on May 5th at the Ontario Basque Center. Tournament registration will begin at 8am with play starting promptly at 9am. Cost to play is $25 per player and includes lunch. You must also be a member of the club to participate, so membership applications will be available at the door. Please RSVP by May 1st to info@ontariobasqueclub.org. 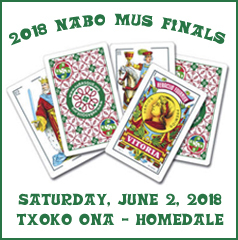 Winners will represent Ontario at the NABO Mus Finals, on June 2nd hosted by Homedale's Txoko Ona Basque Club. Please mark your calendars for NABO Mus Finals hosted this year by Txoko Ona Basque Club in Homedale, ID. The tournament will be held on June 2, 2018 at the Txoko Ona Basque Center. Your club must be current on dues, as well as Mus dues in order for your team to participate. If you have any questions regarding dues, please contact Mayi Petracek. There are no hotel accommodations in Homedale, so please plan accordingly. If staying in Boise, transportation will be provided, with the help of Boise's Euzkaldunak, to and from Boise, at a rate to be determined. For complete information, including hotel, and meal reservations, please see the flier here. As many of you may have noticed, this year's NABO calendar now features films that are part of the NABO Filmategi, or Basque Film Library. This month's film is Gernika: The Story, which is appropriate as today marks the 81st anniversary of the Bombing of Gernika. 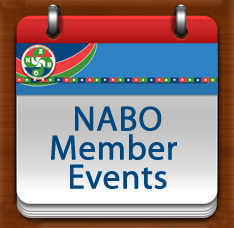 NABO created the film library to facilitate movie screenings at Basque clubs. If your club would be interested in showing any of the films available, all you have to do is email: Filmategi@nabasque.eus with your request. 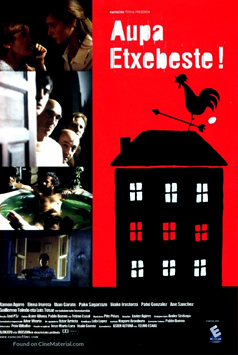 A complete catalogue of the films is also available here. Although 81 years have passed, this date is still significant for many Basques around the world, and as such will be commemorated at numerous Basque clubs and entities. Our thoughts go out to everyone in our community who endured this horrible event.